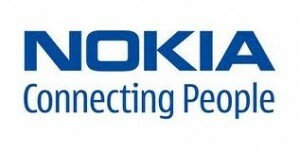 Nokia India's latest offering for the Nokia phones with 3G connections will offer the user local searches. Nokia's subsidiary Navteq, a digital mapping and navigation service provider, will develop a search engine that will offer information as well as navigation details to reach any destination, Business Line reports. This search will compete with Google's Local Search for mobile, which currently offers details such as phone numbers and addresses. If a user searches for a particular restaurant, it offers the phone number and address. Navteq's search will also deliver directions to reach the destination. However, this service will only be offered to 3G mobile users. The number of 3G connections in India has hit the 9 million mark. New 3G packs were also launched on Nokia mobile phones as part of a new partnership between Nokia and telecom operator Aircel. Users that buy new Nokia 3G mobile phones in a circle where Aircel offers 3G services will get 3GB of data download for a period of 90 days, additionally they will also get 100 minutes of free video calling.